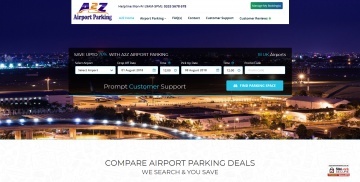 A2Z Airport Parking is a booking agent for Airport Parking currently at 8 UK airports. Unfortunately cash back is temporarily not available at A2Z Airport Parking. You can still find coupons and earn cash back at one of the similar stores listed on the left-hand side of this page.